While driving to our monthly book group discussion on Saturday, Kris and I had a conversation with our friend Courtney. Courtney's family is beginning to feel a financial squeeze. Her husband's employer is cutting jobs. To keep working, he'll have to take a pay cut and move back to the position he left a couple of years ago. “That'd be great,” she said. I've scoured three years of the GRS archives to find the best stories about saving money on food. First up is this survey: How much do you spend on food? There's no info in the article itself, but there are over 180 comments that reveal families have radically different budgets for food. Some people are able to feed a family of six on $400 a month. But some single folks spend $400 a month just on themselves. 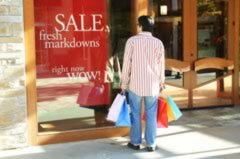 Once-a-month shopping: Save more by shopping less — Research indicates that the less often we shop, the less we spend. Here's how one family makes this work. Once-a-month cooking: Cooking for the rushed — My brother is one of many who has found that “batch cooking” helps to save his family time and money. Keep track of food with a leftovers list — Americans waste too much food. Here's a way to reduce waste. How to buy a side of beef — Buying meat in bulk can save money while providing better quality. Use a grocery price-book to slash your food spending — How to keep a log of what you spend on staples. Save on groceries with “strike-point shopping” — By knowing how much things normally cost, you can take advantage of sales. Ask the readers: Tips and tricks to save on food? Grocery store vs. farmers market: Which has the cheapest produce? 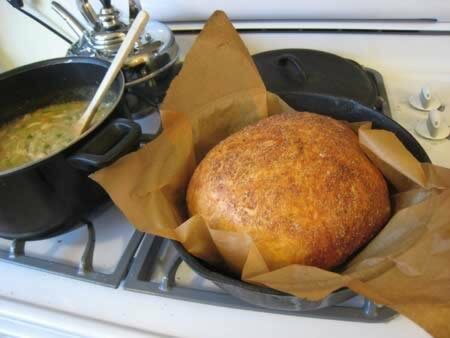 Easy and cheap home-made bread — Kris and I love this bread. Hearty baked potato soup — GRS readers love this recipe. You can find many other similar articles in the food category of the Get Rich Slowly archives. Though I generally frown on overt self-promotion in the comments, I'm making an exception for this post. If you have a favorite article about saving on food — from anywhere on the web, including your own site — feel free to share it with Courtney and other GRS readers! There are 36 reader responses to "How to save money on food: Great tips from three years of Get Rich Slowly". I love this advice. I have some more below. While not grocery-saving advice, it’s still money saved! 3) speaking of car insurance – An expensive policy from GEICO, Progressive, etc. is not needed. You can find one usually for less than $25/month from a place like InsurancePanda. If you spend too much on car insurance from one of those big companies, chances are you are simply funding their expensive TV ads with cute animals. Great compilation! I’m reading this while baking homemade granola bars. I love making homemade snacks so I don’t have to buy these marked up products at the store. There are so many easy ways to cut down on your food budget – it just takes some time, effort and some planning. I hadn’t even read your BLOG yet, but felt like I was in love with it by your title! Great stuff. Keep it up. Wow – this is a perfectly timed list. We’re feeling the squeeze, too, and food is the one department we’re not already quite frugal in… so it’s time to trim the food budget. Thanks, JD! Wonderful – I appreciate this as well, being a new reader. Thanks! Wow! And I thought that I wrote a lot about saving money on food. Sorry, all. I guess the links would help. hey, this reminds me of a question. does anyone have a link to what fruits and vegetables are in season during what months? I am kind of a farming/food dummy and I do want to buy things in season, but I haven’t figured out how to tell what is in season when. I have been looking at food labels for at least a year and it seems like no matter what time of year it is, fruits and vegetables all come from California. I know joining a CSA would help on this but I am a picky eater still working on broadening my taste buds and I would hate to waste a lot of veggies I don’t like. A simple way to save, put left-over veg’s in a container and freeze until you want to make soup. Bones from roast and chicken boiled at the same time give it a good flavor. No bone drop in an egg for protein. My mother called this refrigerator soup we would have it once a week. Cooking for two or three I found it takes to long to get enough, so I freeze until I an ready I also will use shrimp shells to make a stock straining before I add the vegs. 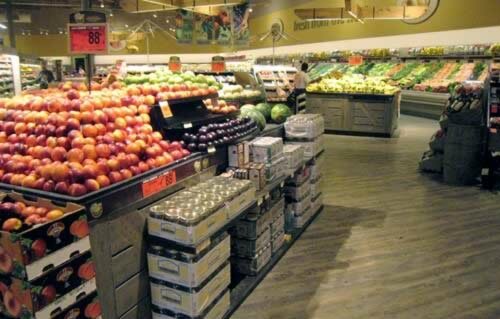 Also pay attention to what’s on special or new in the produce section–that’s often a clue as to what is in season. You could also ask the produce manager at your local store–I’m sure s/he could help you. *Track your food spending over several months, then pick a budget number that will work for your situation — and stick to it! Groceries are one area where we have a lot of power to save or spend money as we see fit. There are a lot of choices out there (stores, brands, sales, etc. ), so we can prioritize our spending pretty easily. We need to eat, and we need to eat well, but we don’t need to go broke doing it! 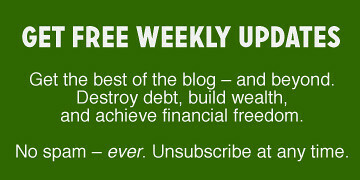 I read a blog called thirty dollars a week and they have some great tips on eating on the cheap…$30/week (for two people). Highly recommended. Saving on food is a good start as it is one expense we all have and you have listed more than what the average blogger will be able to read in the next few weeks. I do however recommend to ALL to read the publications and take from there what you can. I would just like to add that saving on food when buying, preparing and even recycling it to the next meals is only one of the items we should concentrate on. I hope these adds some value to all of you, it is all written form personal experience or actual assistance provided to individuals. 2.) growing an increasing proportion of my own food each year yields LOTS of nutrition and pleasure-per-penny. Nice recap! I have already read most of these . . .
As for Courtney, it sounds like she is trying to buy fire insurance while the barn is already on fire. These are things you need to plan for before the need arises– I guess better late, then never. Thanks for the shout out Kristine! At $30/week, we try to share our receipts and recipes for our $15/per person – $30 week food budget. We’ve got a couple of good frugal ideas out in the blog (using freezer scraps for stock, buying in bulk, making your own pricey vegetarian mock meat). The food is vegetarian (not vegan), so that helps keep the cost down. Wastedfood.com is an interesting blog on reducing food waste and I always find thekitchn.com full of helpful tips. Reduction of food waste is my number one tip to saving money on food. @quinsy – There is a simple way to evaluate what is in season. In Spring, leafy things are in season (leaves emerge first on a plant). In Summer, fruits are in season (and by fruit I mean whatever seed bearing thing a plant produces: peaches, tomatoes, squash, peas, you get the drift) and in Autumn roots come into season (carrots, turnips, potatoes, sweet potatoes and the like). This system is extremely broad and has many exceptions but it gives you a way to think about whether something is likely to be in season. Now, depending on where things are grown, this will change a little – carrots, for example, are often grown for a Spring crop without much difficulty. Apples, pears and grapes spend a long time developing and aren’t in season until early autumn. Some things have two seasons, like artichokes. And citrus fruits are often in season in winter. The best way to learn about what is in season where you live is to go to farmers’ markets. If local farmers are growing an item, it is by definition in season. If it seems odd to you (tomatoes in February) ask the farmer how he or she grew them. My wife and I spend anywhere between $300-$400 per month on groceries. We try to eat a lot of fresh, organic foods (meat, veggies, fruit, etc.). It cost more to eat this way, but our health is an investment we like to make. We were amazed how much we spent on groceries/dining out when I started tracking our monthly expenses. With that said, since we have started eating organically, we eat out a lot less which has actually saved us quite a bit. I hope to do better when I retire- more time, less money- in food savings but really to prepare more made from scratch healthier food. I’d like to bake bread/rolls more and make more soups. Tina, thanks for the Wastedfood.com link! Lots of frugal bloggers write about how to spend less on food, but I think more could be written about not wasting food once you get it home. * If it’s perishable, plan its use. Does a bag of potatoes get hashed for breakfast, microwave-baked for lunch, roasted for dinner? How many sandwiches will we make this week, and will that number use up an entire loaf of bread? These are just two grocery items that I used to buy as a matter of course, thinking of them as pantry staples, but not having a specific use in mind for them. Because of planning, I’m throwing out a lot fewer sprouted potatoes and moldy bread slices lately. * Purchase condiments with care. A few of our favorite family recipes call for ingredients we seldom use (chili sauce and hoisin sauce come to mind). When those recipes come up in the menu rotation, I’ll make a double or triple batch to use up all of the special ingredient, and freeze the surplus. Otherwise, I’ll try to find other recipes that call for that ingredient, and make them within a month of opening the bottle. * Get creative with little bits of leftovers. One of the posters above mentioned soup as a place to tuck in odds and ends. We also use leftover meats and vegetables in stir-fry, fried rice, quiche, scrambled eggs, pizza, pasta sauce, and pilafs. Fresh fruits can be combined into fruit salads, or frozen for smoothies. Stale (not moldy) bread makes french toast, slow-cooker stuffing, croutons, and bread crumbs. * Freeze surplus in a timely manner. I’ve frustrated myself more than once in making a large batch of soup or chili, and forgetting to portion out some into freezer containers before the leftovers went bad. Now I try to get the extras into the freezer right after they finish cooling. * Prep produce right after it comes home. My kids are much more likely to snack on oranges if they’ve already been sliced and placed in a container in the fridge. Ditto for me and celery sticks. * Watch out for emotional eating. This is a personal demon of mine. Eating for reasons other than hunger not only wastes food and food dollars, but it also creates other costly health problems. Wow, this is quite a list!! A beautiful, wonderful book ! 1. i plan meals with intentional leftovers for next day’s brown bag lunch. so I plan 14 meals. i look at what’s in the cupboard and plan from there. 2. i shop biweekly. freeze the milk and loaves of bread. i keep a couple of cans of evaporated milk in case i run out. 3. shopping biweekly. produce that rots gets eaten first. cabbages, potatoes, broccoli, apples, veg that “keeps well” eaten toward the end of the 2 week period. 4. the saturday at the of the biweekly week is leftover day. 5. i make huge pots of soup and freeze portions. 6. i stretch ground deer meat and ground beef with oats, egg and milk. makes nice meatlof or patties. i forgot, i use my crockpot a lot. rice cooker too. dang, where did the edit feature go? another thing i do is cook outside to keep the air conditioning bills down. i have a solar cooker, a roaster oven, and a crockpot to use on the back porch. Since you’re allowing plugs, I’ve got a site devoted to this topic, with articles and recipes. One thing I find useful is to think in terms of “cost per serving” rather than pound or whatever. For example, a roast might cost more than hamburger but can be made into lots of different meals so you don’t feel like you’re eating leftovers. I’ve got a cost per serving calculator for various cuts of meat and poultry so you can go thru your grocery ads and figure out which meat will bring you the most servings. Thanks for the links. Came at the right time. I was just thinking about buying something to eat. I’ll check out the links. Happy Memorial Day. Great line up of resources. The psychology of shopping is an interesting one because everyone has different triggers for spending. Once we understand our triggers, we can decide to modify our behaviours and change our spending patterns should we choose to. I just stumbled upon this compilation of posts and comments and am really impressed. I wanted to add my own site, http://safewaygirl.com in case it would be helpful to anyone reading this. I filter through the Safeway circular every week and identify which advertised deals are actually good and will save you money, versus the other deals where Safeway tricks you into buying items which aren’t really on sale. From my experience, this is the secret to saving a lot of money on a weekly grocery bill. I don’t know of equivalent “expert” sites for the other stores I shop at less frequently, but would love to have that information or inspire someone else to provide it! Check an “older” cookbook out from the library. They usually carry lists of what is in season, because before the current epidemic of designer cooking and eating, people shopped and cooked seasonally. Another tip-IF you shop and cook seasonally you need to develop multiple practical doable recipes for each item. The reason why there are recipes for, say, stuffed, roasted, pureed, baked, eggplant is largely because in the old days eggplant season meant one ate eggplant for several weeks….. Having a few recipes to rotate staves off boredom. Learn to cook. By this I mean “real” cooking-not Martha Stewart catering service cooking. I am horrified by the level of culinary ignorance displayed on this site. Did nobody’s mother ever teach anyone to cook? All I have to do is fry half a chopped onion and people swoon as if they had never smelled “real” food before-and apparently they haven’t. I read the article on your website and thought your readers who be interested in how to save money on food by making their own mixes. I publish a cookbook called Mix-A-Meal Cookbook that does just that. It is found at http://www.mixameal.com. The ingredients are basic dehydrated ingredients that also store long-term so you can buy now and save later when food prices are higher. I was surprised you didn’t have any articles on freeze-dried foods! They are NOT dehydrated. It’s healthy, nutritious fruits, vegetables, meats, dairy, etc. that is flash frozen and most have a shelf life up to 20 years. All you do is add water to bring your food “back to life” and it looks, smells and tastes just like fresh. My point is…you an save a ton of money by slowly starting a food storage system with the foods you eat, rotating them by using it, and no more thrown away strawberries, bell peppers, potatoes, etc etc etc. That way, if/when you are in a dire financial situation (job loss, etc), you have your own store. Plus, it’s just way more convenient and believe it or not, healthier. I always search for coupon codes before ordering anything online. Bank charges can be killer. I used to do the accounting for a small businesses and it wouldn’t surprise me to see over $300 a month in overdraft fees. A friend of mine linked your blog on Facebook and that is how I discovered it. Very interesting stuff.